Awesome car AA. I love the GTOs and they really are everything you say. I got to see one run on a dyno a few years ago and it was pretty crazy. Great machine. When are you selling your Riv? Nice freakin GTO AA! In that 3rd pic, it kinda reminds me of an AMG CLK with that blue coat and big 5 spokes. Can you summarize what the deal is with the suspension? I haven't really heard of that. Thx, not selling the Riv for a while. It's a perfect running machine that I still enjoy the driving year round. 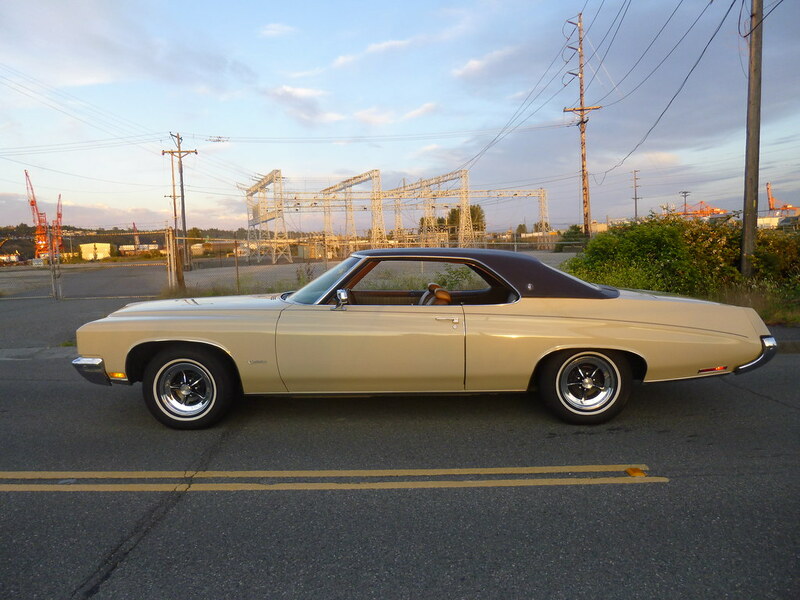 I'll be selling the '70 Olds in the spring if I can. Other than the cool factor of being a classic, it's not really useful to me. It's always been my favorite car, but it sits a lot of the time, only driven on special days. It's so large that I have to pay for storage. I really feel that someone else can appreciate the car more than I'm able to. Bonus - the GTO fits in our garage, and insurance is actually works out about the same as the Olds. I know. I passed by friends in NY, DC, DE, WV, PA, and family in OH. It was like canon ball run. Drove like 10 hours straight through the night to get the car home. You were in DC? I'm hurt now. Jordon: nice SHO! I looked at those at the same time I was looking at the Riv in '03. Couldn't find one in decent shape so stopped looking. In the late '80s when they came out, nothing in their class could touch them for performance. You got the manual version, too. Nice job! Codith: Thx. I mentioned the suspension issue in this thread. The previous owner addressed it with a Lovell's lowering kit, similar to Pedders. There is some wheel rub on the fenderwell at full lock, but that is an altogether different issue. Nice looking GOAT AA! I'm sure you will have a lot of fun with it. What the heck is the problem with dudes making their own threads to show off their other cars? Nice GTO, AA. But what did you make Jordons thread smash into this mega thread? Why can't a dude have his own thread for his own build? I've been meaning to do this for awhile, but I wanted to create a new thread and show you guys a new car I purchased last summer. It's a 1992 Ford Taurus SHO. Jordon, maybe you should create a generic thread for SHOs and keep your post in that instead of this mega thread. The problem is, this is primarily a Riviera board, not a "dudes showing off their other cars" board. The difference is, someone actually did create a legitimate GTO discussion thread back in 2008. I didn't create that thread just so I could show pics of my car. I posted them here because this is where "other car" pics go. It's fine to create an SHO discussion thread, as long as it's actually for discussion and the showroom pics stay here. You finally got the GTO, nice find! If I were still in NY I'd have told you to stop by me. How many pedals? The SHO looks sharp too, good job on the reupholstery! Congrats on the GTO Aaron, always liked it, only seen one and I thought it looked pretty sharp. It kind of has the same impact that the Riv has, clean yet aggressive. Glad to hear the Riv ain't goin' nowhere though! Ilan: 3 pedals, 6 gears, 8 cyls! Jordon: that SHO interior reminds me of something... maybe a Torrid Red/Black GTO interior? Looks great, btw! I personally like all black, but definately works with that car. Congrats on the Goat !!! I know you've been wanting one for a long time. AA, you have one sweet GTO. Looks like it had some mods, so please inform. Do not turn off the TC until you have lots of space to spin out. I have A 5th gen Camaro, only a six with 312 hp, and have heard so many stories when inexperienced drivers turned off the TC and totaled their autos when they lost control (see Youtube for examples). Yesterday, stopped in traffic waiting to turn left into my apt. bldg. parking. Right hand traffic slowed, one person stopped and waived me on to turn in front of him. Gave my little 312 hp V6 some gas to turn quickly. TC on. Damn if the rear wheels did not burn rubber wtih TC on! I was embarrased smoking tires with my little 312 hp V6. Turning the TC off to many people = loosing control (watch YouTube to see fools with TC off and loosing control). 69GS: Your SHO is a future collectible. A few years ago in Hemmings there was a article regarding the the Ford SHO. One sweet auto. Please keep us informed. Thx for the comments, Al. I still haven't turned off the TC. With this kind of power I want to be sure I'm 100% comfortable with the car first. Wheels break loose a little and tires chirp even with TC on. I have a couple more changes to make, starting with the hood. It's getting an '04 plain style hood, painted MBM to match. Then a carbon fiber rear diffuser to replace the portion that says "GTO". Only other performance mod I'd do is the GMM Ripper shifter with LSS handle. This is about $600 so will have to wait a little while. AA, I was gonna ask you about that steering wheel, as I didn't remember our GTO's looking like that. That's the first thing I noticed when I was scrolling through the pics. That thing is absolutely sick! Can it only be ordered from overseas? Do you plan on autocrossing it like you do with your Riv? Or is just going to be a sunny day cruiser? Also, I appreciate the kind words about my SHO. It's definitely a work in progress, but I'm having a good time with it. I bought the car undoubtedly for it's drivetrain. It's such a different animal than the Riv. While the Riv is a low rpm torque monster, driving the SHO is closer to a high revving superbike. It doesn't redline until 7500 rpm, and once the secondaries open up, the sound is incredible. It's like the car gains two cylinders. Not to mention, the Yamaha 3.0L is eye candy. In my opinion, it's one of the best looking engines ever produced. 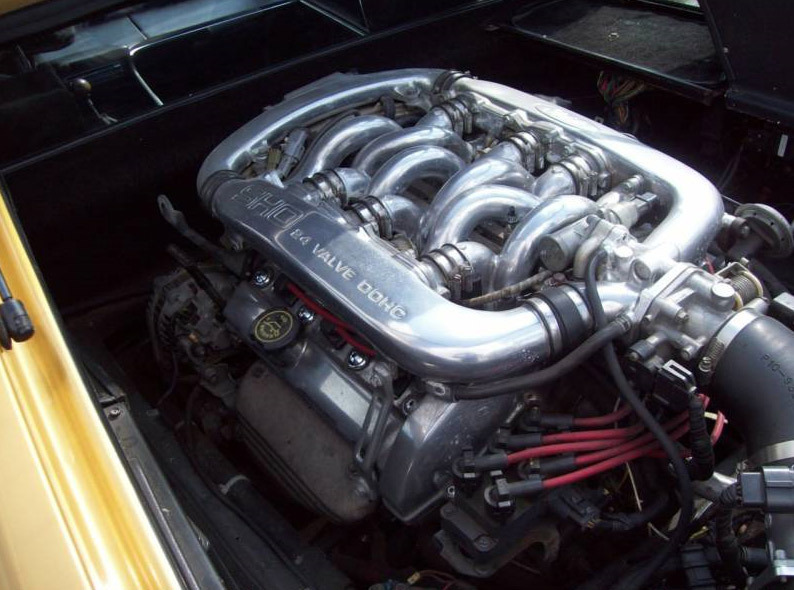 The intake runners are reminiscent of a viper's nest and it's such a unique design. Eventually, when I send my intake to Shosource to get it ported, I'm going to have it ceramic coated so it will look like this. AA, awesome GTO... one of my favorite vehicles ever. You have excellent taste! Jordon: the SHO's manifold is one of the best-looking there is, period. I remember at RegalGS.org there was a member with a pic of an SHO mani as his avatar. Loved it. Compare to the GTO's faux plastic valve cover covers, I'm getting ready to take them off for my first mod! I always wanted to drive an SHO, but never had the chance. My cousin had a green one, auto version, so I can remember riding in it back around '93. It was still very new then, and very quick. My cousin has gone on to buy an STi, EVO, and Porsche Boxster. Cars are a big deal on our side of the family! About the GTO's steering wheel, it is definitely one of my favorite things about the car. The feel of the wheel is perfect - there's actually a sweet spot at 9-3 o'clock, even though it looks like it should be gripped 10-2. The wheel is available through JHP in Australia for around $500 USD. I may autocross it, and maybe one or two 1/4 mile runs. A friend is already asking to run it on his dyno, so that will probably happen. Only thing I may not try is road course racing. I can't risk loosing it at high speed, which is easy to do when pushing it hard. For now it will be my daily driver when the weather is good. Only a few more days left this year! How is the GTO on gas? Actually not too bad if I keep my foot out of it. From NJ to Eastern WV, a combination of highway and city, I logged 20.0 MPG. 300 miles of WV mountains later I filled up again and logged 20.2 MPG! From the OH river to Columbus I set the cruise in 6th gear and saw 20.8 when I got home. I'm convinced 400 miles/tank is achievable on the freeway. Since then I've been having a bit of fun with the car, almost all city driving: 17.3 MPG. Overall combined average is 19.2 MPG so far for the GTO. The Riv's average over 3 years is 20.1 MPG. 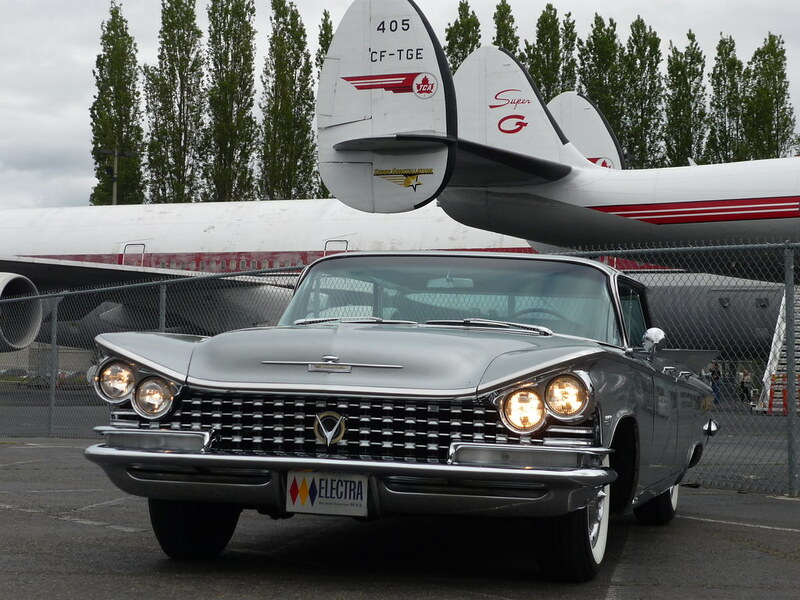 1959 Buick Electra -- I remember this car since childhood in Eastern Oregon, and bought it from the original-owner family in 1998. 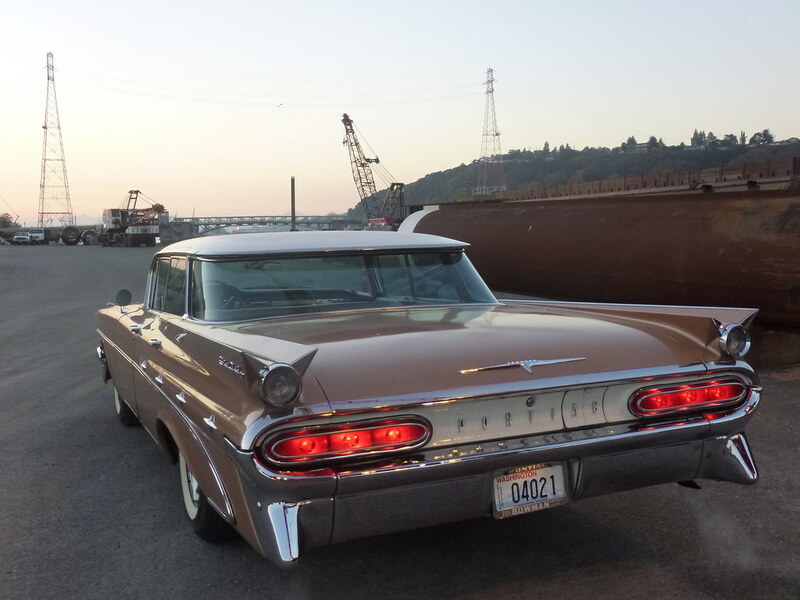 It's all-original, and my wife and I have driven it as far as Seattle to Michigan and return (for the Buick Centennial) and Seattle to Colorado Springs and return (for the '59 Buick 50th anniversary). Color is "Silver Birch". 1959 Pontiac Star Chief -- all-original car with 67,000 miles. Color is "Canyon Copper / Cameo Ivory". 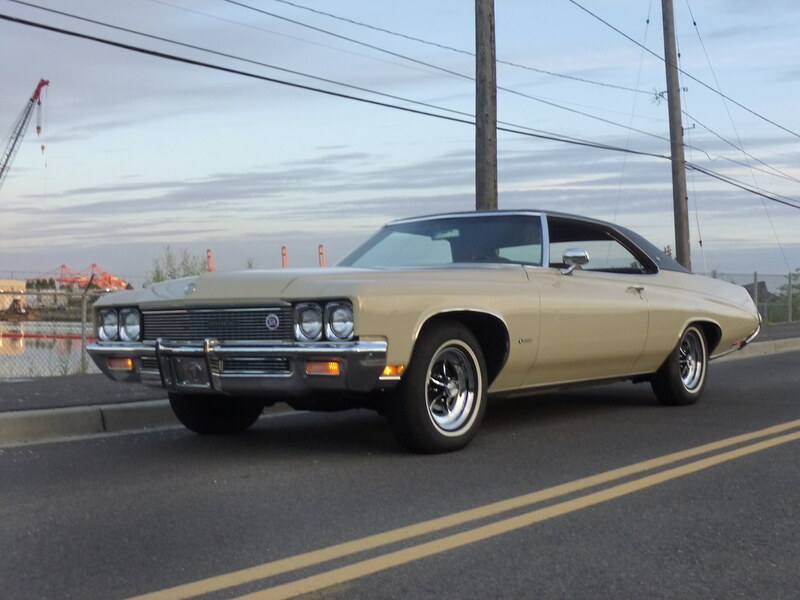 1971 Buick Centurion -- purchased new by my parents. Color is "Sandpiper Beige" with dark brown vinyl roof. Gorgeous! I almost picked up a '73 Buick Centurion Convertible a few years back, but it was so rotted out I couldn't do it. Nice cars! Wow, great set of cars. 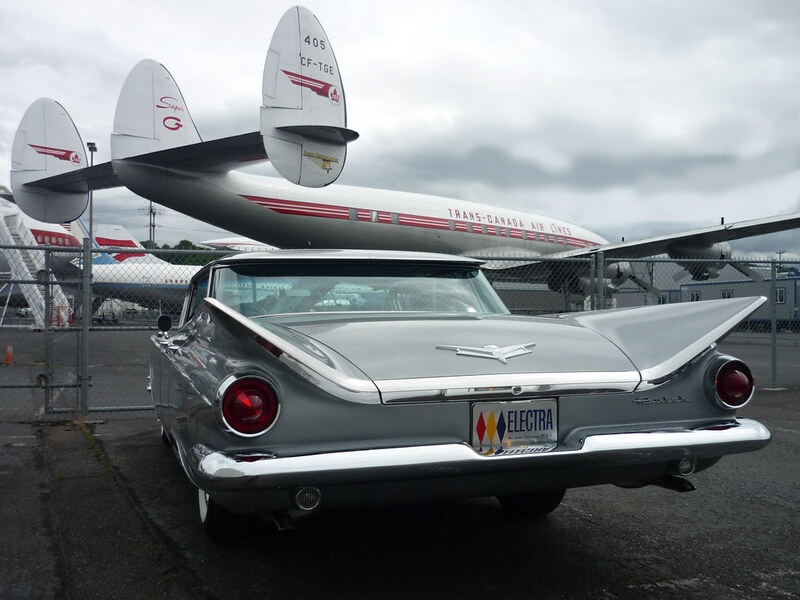 I especially like the Electra!